Home » Uncategorized » Additional Classes Starting at Cowtown Dog Sports! Additional Classes Starting at Cowtown Dog Sports! We are excited to announce that Cowtown Dog Sports is adding more classes in June! This includes the addition of morning classes for those of you who can’t make it in the evenings! We will continue to teach our Foundation for Agility 1 and Agility 2 classes, but we are now requiring that students attend our Basic Obedience class before starting Foundation for Agility 1. Basic Obedience is a fun class designed to teach basic clicker training skills along with basic manners required for agility classes such as sit, down, stay, recall, mat work, and loose leash walking. 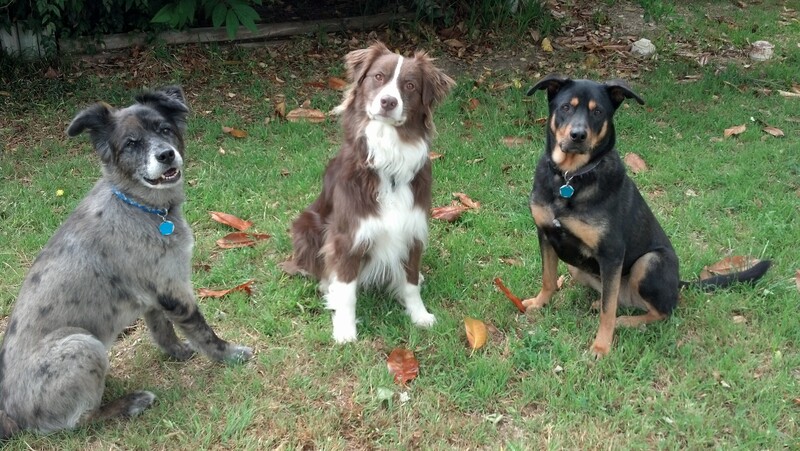 This class is good for anyone who wants a better behaved dog! Basic Obedience will be starting on Tuesday, June 3, 2014 at 9AM and Thursday, June 5, 2014 at 7PM. We are also adding a Distractions and Self Control class for those dogs who have a difficult time handling new environments and new dogs around them. This class will teach your dog fun games to play when distractions are present and help them cope with new things and other dogs. Distractions and Self Control will be starting on Monday, June 2, 2014 at 7PM. Also, be on the lookout for an upcoming Tricks class! Of course, we will also continue our advanced level agility courses. If you and your dog are an experienced team, contact us for an evaluation. We will start offering advanced classes in the mornings soon! We are excited about our new classes and hope you can join us!